Evan Spiegel's gonna be pissed. Just when you thought the photo and video-sharing apps, Instagram and Snapchat, have made peace with each other, Instagram goes and poaches one of Snapchat’s signature features: Stories. 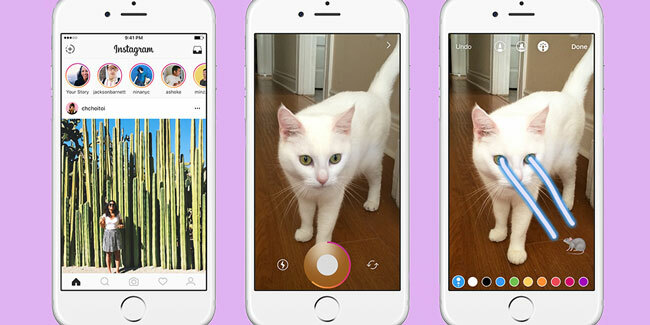 Like Snapchat, IG’s new offering allows users to compile, annotate, and edit pics and vids in one place, which they can then share with friends before it disappears 24 hours later. Sounds pretty familiar, riiiight? 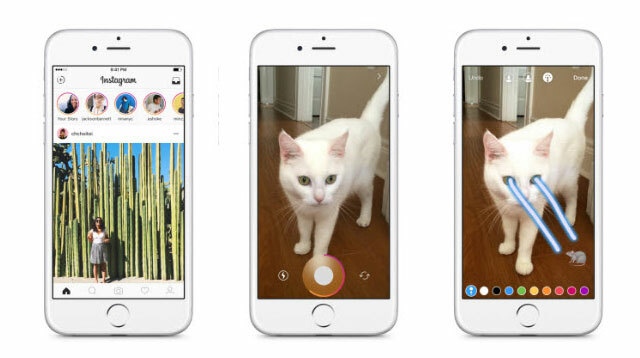 In fact, they’re so similar, Instagram has even given their new tool the same name: Stories. Evan Spiegel is probs not a very happy guy RN. “With Instagram Stories you don't have to worry about over-posting,” explains Instagram. “Instead, you can share as much as you want to throughout the day—with as much creativity as you want. You can bring your story to life in new ways with text and drawing tools.” Y’know, just like Snapchat. They continue, “the photos and videos will disappear after 24 hours and won't appear on your profile grid or in feed.” Like Snapchat. "You'll see stories from people you follow in a bar at the top of your feed — from your best friends to your favorite popular accounts. When there's something new to see, their profile photo will have a colourful ring around it." On the plus side, there seems to be one key difference between the two. Unlike Snapchat, Instagram hasn't used filters (yet) but, to make up for it, they’ve introduced emojis as a way of editing your Snap-grams. We have to admit, that's pretty neat. Oh and in case you were wondering, your Insta story can’t receive comments or likes. If you want to send a response to the clip, you just tap the image and send them a DM. Instagram went on to confirm that the new feature will be rolling out over the next few weeks. So go forth, update your Insta and let us know what you think.